I am a firm believer in compliments. I compliment my students, my family, and my friends as often as possible. I think about compliments that have truly affected me and encouraged me to continue working towards my goals. You’re a good mom. A significant portion of parenting involves worrying. “Am I reading to him enough? With all of these daily worries, it was a huge confidence booster when my mother-in-law randomly told me I am a good mom. My “running bully” congratulating me for beating my goal time at our first half! You are stronger than you think you are. My “running bully” gets the credit for this one. I lovingly refer to my friend Kerri as my “running bully” because she pushes me when I question myself, causing me to PR at the ever-difficult Gaspee 5K and beat my goal time by fifteen minutes at our first half-marathon. I love my running group because we focus on getting out there and getting stronger over being the fastest. That being said, having someone out there pushing you out of your comfort zone is never a bad thing! I’m so glad you’re my mama. Liam and I have a really good ability to bounce off of each other. We can make up games on the fly, without stopping to decide rules or goals. Mike and I each have activities that are “our things” with Liam. Liam and I go for bike rides, read books, sing Hamilton, and tell each other silly jokes. Every so often, Liam wraps his arms around me and tells me, “I’m so glad you’re my mama.” It melts my heart. There’s a sweet spot in New England weather that promises the arrival of summer. It’s warm but not hot, not too humid, but most of the spring pollen is on its way out. This past weekend brought just those promises to life! Saturday started with the Gaspee Days 5K, the culminating activity from last year’s Beginners Running Group. A year ago, we were nervous to mingle with “real runners” and doubted our training. This year, we were seasoned, having multiple 5Ks and a half-marathon under our belts! It was great to return to see our progress and help a new round of BRG graduates to complete their goal. Those who are not local may not be familiar with the story of the HMS Gaspee. While everyone knows about the Boston Tea Party, the burning of the British customs ship the Gaspee occurred the previous year, leading up to the start of the American Revolution. Each year, the town celebrates Gaspee Days over the course of several weekends. There is an arts and crafts festival, fireworks, music, race and parade, and even a reenactment of the burning. It is worth noting that the Gaspee race is one of the most challenging 5Ks around; it contains long, sloping hills that never seem to end. But the race also happens before the start of a parade, so there are thousands of people cheering you on. Residents set up sprinklers for runners; kids hold out their hands to high five racers. While it is a challenging course, the energy is fantastic! I was excited to run this race, even though I have been nursing an injury and haven’t really been able to get a good run in since the half-marathon last month. My expectations were not high for this race; my goal was only to improve my time from last year, even if only by seconds. At the beginning of the race, I took off, pushed by the crowd and excitement. My first mile was 11:11, a pace I knew I couldn’t sustain. 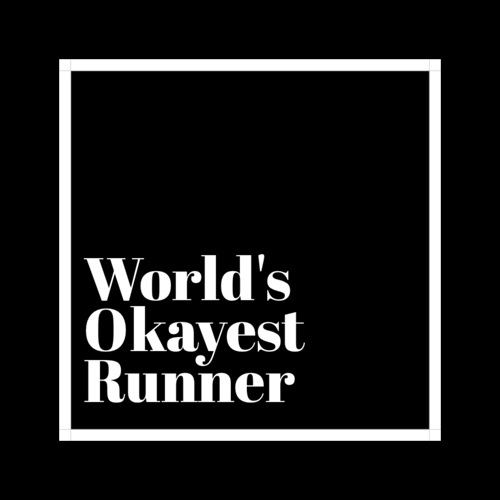 (Remember, I am an okay runner!) My sugar started to drop, and I felt a little woozy. I slowed down at times, allowing myself to walk some of the tougher hills. I made it through the turnaround, enjoying my turn under the passing sprinklers. I was just starting to get discouraged at mile two when I saw my friend Kerri waiting for me. And we did. Kerri stayed by my side throughout the race, slowing down when necessary, but keeping me motivated to try my best. I would not have pushed myself so hard had it not been for her encouragement, to remind myself that I am stronger than I think. I need people who believe in me when I am doubting myself. Kerri stayed with me until the final turn of the race. For that final .1, I pushed myself as hard as I could, finishing the race in 36:44, two and a half minutes faster than last year! That gave me a PR for my 5k, which I know will improve when I race again on a flatter, more forgiving course! My current goal is to complete a 5K in the 35-minute range. Words cannot express how happy I am that I joined BRG last year. I am grateful for the confidence BRG provided to teach myself that I, too, am a runner. I can set goals, work towards them, and achieve them. The summer offers a lull before “race season,” which includes a 5K, four-miler, 10K, and another half-marathon. Now that I know I can do all of these things, I can focus on getting stronger. I cannot wait to see what the next year brings! This has been the week of weeks! Mike had his gallbladder out. Liam wasn’t feeling well; he tested positive for thyroid antibodies, most likely caused by Hashimoto. We have a referral to an endocrinologist. I am relieved to know what is the cause of his symptoms. As someone who also suffers from thyroid issues, I am confident in my ability to help him manage the condition. I pulled a calf muscle, leaving me unable to run for two weeks. Our bank accounts were hacked twice. We knew we would get our money back, but it is time consuming to get everything back in order. I had oral surgery and, according to doctor’s orders, should only be eating soft foods (scrambled eggs, pasta, etc.) This lasted less than a week before I went to eating softish foods on the other side of my mouth. If nothing else, this week served as a reminder about the importance of perspective. It was a reminder of how well Mike and I work together. We could have buckled under the stress, but it brought us closer. We made time to chat. We laughed and giggled. We finished the week reminded that we chose the best possible partners for this life of ours. So this brings us to this week’s topic: What are the best choices you’ve made? Marrying Mike is at the top of that list. I am thankful I met him when I did; my previous self would have played gamed and ruined the relationship. He supports me, argues fairly, and is an amazing dad! I am beyond lucky that Mike walked into my life when he did. Going back to school. Now that I have been teaching for fifteen years, other jobs feel like they were in another lifetime. After a few years of working odd jobs after high school, I started college when I was twenty-one. It took me five and a half years to earn my Bachelor’s degree, but I did it! I knew at a young age that I wanted to be a teacher. Going back to school and fulfilling that dream was one of the best decisions I’ve made. Being picky about friends. My friends are amazing! I’m glad I chose not to settle! Stepping out of my comfort zone. Running, traveling to California, starting a blog (then sharing it with people). Some of my greatest joys in the past few years stem from doing things that scare me. Liam is a little young to be in a position to analyze life decisions. I asked him about some good choices he’s made. Making good friends. He’s at an age in which he is realizing that, while most people are friends, not everyone fits that description. It’s not that he has enemies, he’s eight. But he has learned that it’s easier not to try to be best friends with everyone. Loving to read. Liam loves to read! He is struggling with math, but the boy loves to read. He will read whatever he can find: magazines, chapter books, graphic novels, resource books. I love that he loves to read and I’m willing to do what I can to nurture that love. When is a Good Time to Bounce Back from an Injury? A week and a half ago, I was having a fantastic run! The weather was warm but not hot. I managed a great pace that was both challenging and sustainable. After months of focusing on distance and endurance, my focus moved to getting faster. I joined the #sportsbrasquad and was feeling invincible. I was working towards my goal of increasing my speed. In the middle of an interval, my calf gave out. It was sudden, like someone had whacked it. I couldn’t walk and had to call my husband to come get me. I limped for the next couple of days. It is still painful when I walk, just enough to let you know the pain is still hanging around. It’s been ten days. I am itching to run. I’ve tried a few times, only to have to immediately stop. I’m doing everything I’m supposed to do to help it heal: taping, wrapping, ice, compression socks, massage, foam rolling. It is getting better, but not as quickly as I’d like. It makes me wonder when I can begin running again. Should I wait until there is no pain at all? Should I head back out when the pain is there but manageable? Once I get back out there, how do I prevent this from happening again? I stretched before running. I started off slow, walking for a few minutes before beginning intervals. Now, like a scorned lover, I am trying to find the courage to get back out there. The pulled calf happened suddenly, leaving me scared that it will happen again and cause further damage. Maybe, like recovering from heartbreak, I can put myself out there a little at a time and build up the courage to try again. For an average week, I experienced quite a few firsts. Interval training After spending twelve weeks focusing on increasing my distance, I have been focusing on increasing my speed through interval training. The more I read about it, the more confusing it becomes. 4×400? 4×300? It seems like a lot of science and thinking and I am just not there yet. After doing a bit of Google research on interval training, one minute of running followed by one minute of walking seemed easy enough. My last session before my half-marathon was my first interval session. It wasn’t too bad; I’d run a minute at a pace in the 10’s then walk. My weekday runs with Banjo have been intervals, but the waist leash belt I wear with Banjo did not properly hold my phone, causing it to fall out every time I increased my pace. I was looking forward to getting out on my own Sunday morning to see what I could accomplish. #sportbrasquad I got over my fear during Sunday’s interval session. It was 63 degrees when I started my run but quickly moved up to 70. I was pushing myself. I was dripping with sweat and had thrown up in my mouth a few times. There was a beautiful breeze and decided to shed the shirt. I watched the first few cars that passed, waiting for some sort of judging. Nothing happened. It felt so good! My self-consciousness kept me off the main roads, but it felt amazing! Big, Run-ending Injury So I was feeling like a badass, running fast and feeling strong. I decided to push myself a little more during a downhill interval. Suddenly, I felt like I had been shot in the left calf; my leg just gave out. I actually had to call Mike to come get me. It was a humbling reminder of how quickly situations can change. I missed church, staying on the couch alternating ice and heat. My First Massage I have a weird issue with paying for certain things. If I hadn’t messed up my hair more times than I care to admit, I would not pay someone to touch up my roots every four weeks. I hate paying for manicures and pedicures, counting my lifetime pedicures on one hand. I didn’t even have one before my wedding. After being in a constant state of recovery between half marathon training and weightlifting, Mike offered to buy me a gift certificate for a massage for Mother’s Day. He was upsold to a package that included a facial and massage and scheduled the appointments to run back to back yesterday. The massage was fantastic! It is so nice to move my shoulders and back and not feel any knots or stiffness. The facial turned into a sales pitch. The esthetician talked my ear off about all the products she was using, how I should use them, and which of the many facial issues I have would be fixed by these elixirs and creams. I was so annoyed throughout the facial that it was not enjoyable. I will still consider the experience a positive one. I started out very self-conscious but actually dozed off towards the end of the ninety-minute massage. Pictures of Me I Didn’t Hate This one is huge! Usually, I find something wrong with every picture of myself. I hate the picture of Liam and I from the mother-son dance because my upper arm looks fat, reminding me not to wear sleeveless dresses. One of the instructors at Laid-Back Fitness took a video during our Strength class and posted it on Instagram. When I saw myself, I thought about how strong I looked performing kettlebell swings and real pushups. I was swinging a heavy kettlebell and my form looked pretty good during the pushups. I watched the video loop a few times before the epiphany hit: I didn’t think of any negative as I watched the video several times, proving that my focus is moving from skinny to strong. When another video was posted during Saturday’s class, I wished I had adjusted my pants so I didn’t have a muffin but was overall pleased with how strong I looked. Meal planning on Sundays, even if only for lunches. Knowing we do not need to scramble each afternoon or evening makes weekdays less hectic. I simply refill Liam’s lunch box when he gets home from school and put it back in the fridge until the following morning. This week, we made chicken breasts, rice, salad, and whole wheat pasta to mix and match into different meals this week. I made buffalo chicken pasta salad to eat each during lunch. Setting out mine and Liam’s clothes the night before. Again, knowing that Liam’s clothes are clean and ready to go and I have all the parts of an outfit together makes the mornings easier. Since Liam wears uniforms, his outfit planning is pretty easy. I look at the weather report on Sunday and decide which days to wear skirts versus pants and which days I can run after school. Ordering Liam’s lunches a month at a time and noting his hot lunch days on the calendar. This makes life so much easier! I am thankful that Liam’s school allows this service. Mornings with Banjo. Even Banjo has this down to a science! He knows who takes him out when and whether he is out there for “business” or play. He knows that if he goes out to the backyard, we are going to play with him. If we take him out front, he is to make a deposit and go back in the house. Mornings in general. I keep a mental list of what time I should be at each step of in my morning. I won’t bore you with the breakdown, but trust me, it’s good. After school. Come home, play with Banjo, homework, chores, dinner, play. I asked him to describe some of his routines a few days ago and let it simmer. This morning, while sitting a the swingset playing with Banjo, he randomly told me, “I have a lot of routines at school, too. Do you want me to tell them to you?” He proceeded to explain his entire day. Liam has always thrived on routine. Even a good surprise, if it changes what he expects is going to happen, makes him uncomfortable. I am beyond thankful for Liam’s teacher, who creates many routines and is very much cultivating the organization skills that will make him successful throughout his academic career. I don’t even know where to begin when talking about this weekend! Liam made his first communion Saturday morning. He did such a great job! I am beyond blessed that he is a part of such a fantastic school community. I love his school and the fellow families who attend. After the church service, we went back to our house for a cookout. It was perfect: low-key and casual. Liam was thankful for his day! I went to bed early Saturday night because the half began at 7:30. I planned to be out of the house by 6. Liam woke up with me at 5:15. We tried to be as quiet as possible. Because he wasn’t sure if he would wake up with me, he left me a note for the morning with the bagels Mike picked up from Panera. I was trying my best to be organized, but nerves were starting to kick in. In being hopelessly proactive, I applied Tiger Balm to my calves as I got dressed, only to panic when realizing I had not yet put in my contact lenses. Somehow, I managed to put in my toric lenses into my puffy, allergy-hating eyes one handed! My goal of getting out the door by 6 was only off by six minutes. One the ride down to the race, I decided to listen to Hamilton, my go-to “Let’s do this!” music. The Spotify account was set to the Kitchen Echo. Luckily, people slept through the music blasting through the kitchen speakers for four seconds while I wondered why it wasn’t playing in my car. The atmosphere before the race was calm and cheerful. We chatted and laughed until it was time to gather by the starting line. The gentleman who coordinates the races explained a few things about the race and the course, beginning with, “I don’t give a sh*t who comes in first as long as everyone finishes.” His cell phone number was on every sign; if you couldn’t finish, he informed us to call for help. He would come get us and provide free admission to any future race. We started off together, separating by the time we made the first turn. My friend Kerri and I stayed together. We were hauling! My goal was to finish the race in three hours, requiring a 13:42 pace. Kerri assured me I could do that. My first mile was 11:36! I became scared of burning out. We slowed down, clocking our second mile at 12:46. Our third mile was back in the 11’s. So, three miles in, my goal changed! The course was beautiful. We ran to Charlestown Beach and back through country roads. Kerri and I stayed together for the first ten miles, then she went ahead. At the next mile, I encountered a girl I “knew” from a Facebook running group. On the way out in the race, I stopped and hugged her, then let my social anxiety kick in, worrying that she thought the worst of the crazy, sweaty random person who hugged her. The next time I checked my phone, I had a friend request from her. I saw her again just after Mile 10. She took pictures and shared them with me, including one of my favorites of Kerri and I high-fiving when we reached double digits! Just after Mile 12, I hated everything! I was done running, my shoulder was sore, I was gross and sweaty and wanted to be done. As I turned the corner, I saw two of my Rhode Runner buddies! I have never been happier to see anyone! Ignoring how sweaty I was, I left into each of their arms and expressed my love for them both! I began to cry as I ran up that final hill, overwhelmed by the support and the fact that I was actually about to complete this huge accomplishment. Hold it together, I told myself, you can’t run if you’re sobbing. After that encounter, I was recharged and ready to finish this race, pushing myself through the last bit. When I turned the corner towards the finish line, my friends cheered me. I was at 2:44, I still had a chance to reach my goal! And I did, finishing in 2:44:59! I don’t even care if this picture is flattering. It was taken immediately after finishing the race! I was ecstatic! I was deliriously happy! My friends surrounded me and cheered for me. Then I realized the problem with finishing fifteen minutes faster than I planned: Mike and Liam were not yet there. I had told them to get there for 10:30; I finished at 10:15. They arrived a few minutes after I finished. My friends are amazing! In this entire process of becoming a runner, they are my favorite takeaway! They make terrible runs tolerable and push me. They are supportive and silly. We gathered and ran in with the rest of our group. We stayed for over an hour after the end of the race, eating and celebrating. Many times, I consider running a solo sport. Because of my schedule, the majority of my training was done by myself. However, races are what bring everyone together. We made friends with others in the parking lot before the race and at the finish line. People we have never before met cheered for and supported us. I’m still riding the high that comes from reaching a goal. My next half is in October, allowing a few weeks to regroup and decide the next goal. I’d like to work on speed; I think I doubt myself and fear burning out at the end when I need energy the most. It’d be great to take a minute off of my 5K time. For now, I need to thank my husband and son for supporting me. For screwing up weekends by filling them with long training sessions. I need to thank my running friends, now simply known as my friends, who pushed me out of my comfort, convincing me to accomplish what had previously seemed impossible! I don’t think you will ever understand how much I appreciate your support and friendship! It’s weird to feel the first half creeping up on me. Tomorrow, I will complete my last long run before the big day. During the following week, I will take advantage of Liam’s first communion rehearsals to get in three runs during the week. When I look at the weather forecast, it tells me that the weather will be cloudy and in the low 60’s on the day of the race. The fact that the ten-day forecast includes half-marathon day is incredible and terrifying! I’m wondering what that first week after the half will be like, a week without the pressure of training and making sure I fit runs into my schedule. I will admit that I slacked during the week. While I was great about the long runs on the weekends to increase my endurance, I did not get out three times during the week to work on speed. My weekday runs are shorter than the training plan suggests. It is challenging to get the runs in with Liam in school and Banjo running alongside me. The most Banjo can run is two miles; after that, he is exhausted. Poor pup hasn’t learned to pace himself. Those two miles are the fastest miles I run all week, then he wants to walk. What comes next? My next half is in early October, allowing a short break before beginning another training session in July. This month, I am participating in a challenge through the gym where Liam and I take classes. After months of focusing on running and cardio with one weight-training class mixed in, I am interested in seeing how moving the focus to weight training will affect my body and my ability to run. I know my diet is holding me back, proving that one cannot out exercise a bad diet. My meals are pretty good; it’s mindless eating that counts, even when I don’t count it: the handful of Liam’s Chex Mix, etc. It’s been a fantastic journey, one that I believe is only beginning. I want to be able to run in a sports bra. Yes, I possess the ability to do so now. Let me clarify: I want to be able to run in a sports bra without feeling judged. It looks so freeing and would love to be able to do so without worrying the entire time that I look like someone who has no business running without wearing at least a tank top. I want to run and truly zone out. It’s happened a few times during my long runs, and it is glorious. I think the burden of completing the first half will alleviate some of that pressure. During recent runs, I find myself focusing on distance or speed instead of just trying to enjoy the time to myself. I want to truly not care when people ask me “You’re a runner?” or “You lift weights?” It doesn’t happen as often as it used to, but it still happens. I want to be able to say, “Yeah,” without following it with a comment about loving food as well as running or not being a fast runner, feeling the need to downplay my hard work.